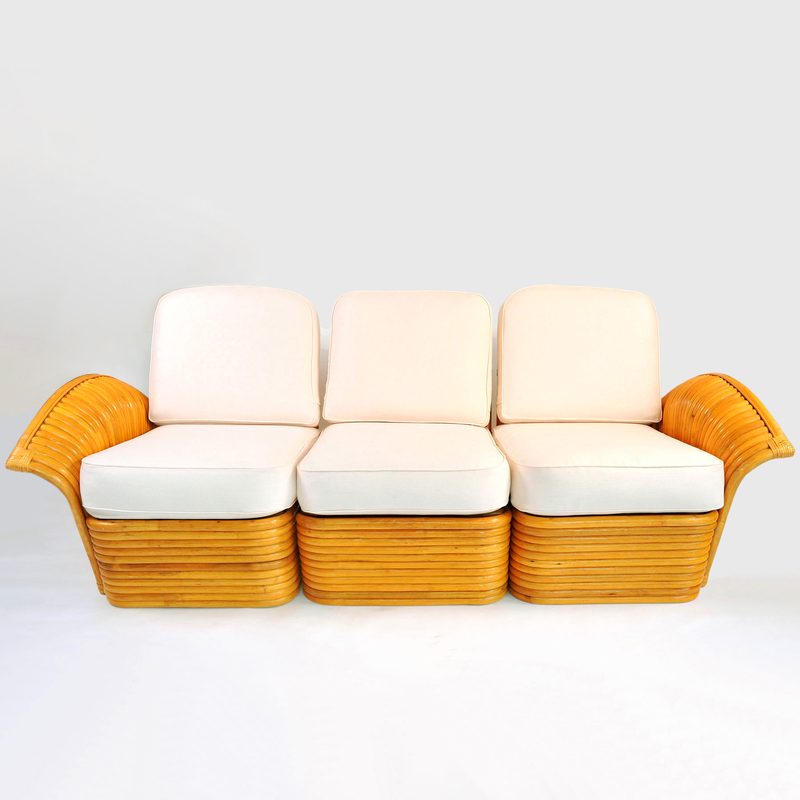 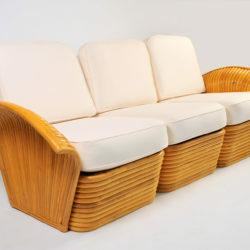 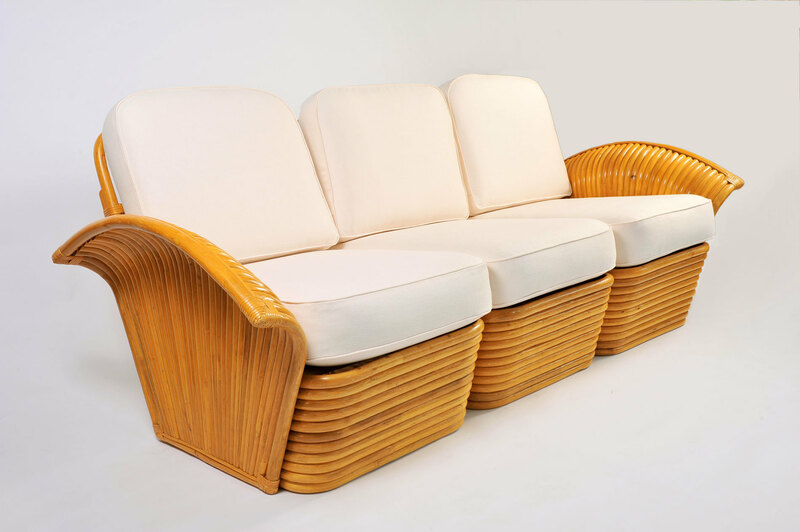 Very comfortable 1950s three-seat sectional sofa with curved stacked rattan base and decorative fan arms. Two armchairs in the same set are also available (see FS954). 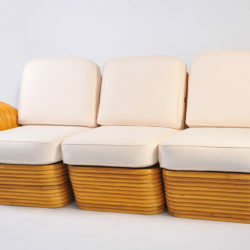 Recently re-upholstered in thick white linen. 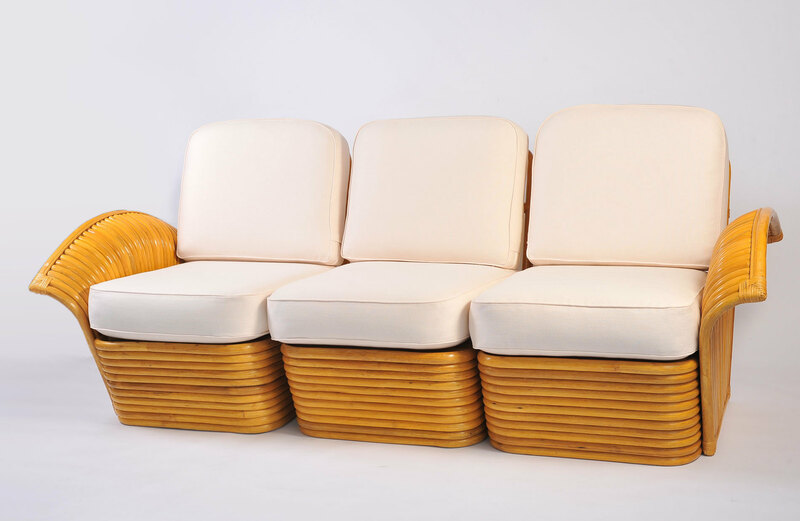 Covers removable.